GUELPH, ON (May 17, 2011) – When food prices go up, many are quick to point the finger at our food growers and their sale of grain crops for bio-fuels like ethanol. But grain prices have spiked in the past for many reasons, and always come back down, while the cost of food doesn’t always reflect the decline in grain price. 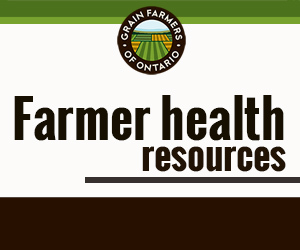 A new study released by the Grain Farmers of Ontario explores this issue. “The truth is that farmers receive only about 19% of the retail price of food. Average Canadians earn enough to pay the farmers’ share of annual food purchases by about noon on January 9 of each year,” says Barry Senft, CEO of Grain Farmers of Ontario. So if it isn’t bio-fuel, what is causing food prices to rise and will they remain high? A comparison of the commodity/ food price spikes of the 1970s and 1980 provides insight. During this earlier period, many public statements were made that commodity and food prices had climbed permanently to a new plateau. But in inflation-adjusted dollars, crop and food prices moved to new lows after 1980 as the world food supply grew at a rate that exceeded population growth. A grain price peak was reached in 2008 and a second price peak occurring in 2011 and both are being blamed partially on grain being used for ethanol. However, price patterns are very similar to the double price peak experienced in 1974 and 1980, well before the ethanol industry was established in Ontario, which was followed by several decades of declining real grain and food prices. In both cases, a number of factors contributed to the price spikes and not just a specific individual cause. The common factors include crop failure in key production regions caused by extreme weather, high oil prices, civil unrest in major grain buying countries and price increases for agricultural inputs like fertilizer. The impact of bio-fuels on world food prices in 2007, according to the US Secretary of Agriculture, was no more than 3%. Some forecasters suggest that current high farm crop and food prices are the new norm and that prices will be both higher and more volatile for years to come. These forecasted higher prices result from a common projection that the world’s food supplying capacity will have to increase by 70% between 2000 and 2050, or about 1.1% per year. 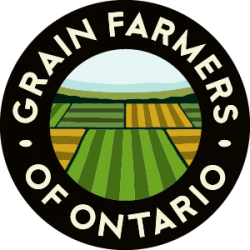 The Grain Farmers of Ontario study concludes that this growth is achievable with modern agriculture. In fact, average world grain yield increased by 1.5% per year from 1987 to 2007. Next PostNext Ontario Grain Farmer magazine makes an online splash!